Sally Mauk: Welcome to Campaign Beat, our weekly political analysis program, I'm Sally Mauk and I'm joined by University of Montana Political Science Professor, Rob Saldin, and veteran Capitol Reporter Chuck Johnson. And Rob, we'll start with you, the Cook Political Report has moved this Senate race between Jon Tester and Matt Rosendale from leaning-Democrat to a toss-up. And there are a lot of factors influencing why this race is tightening, not the least of which, is the controversy over Brett Kavanaugh getting on to the Supreme Court. Rob Saldin: That's right Sally, you know, some of these national ratings, I think, have been a little too bullish on Tester. The Cook Political Report probably has it at about right now, this race always had the hallmarks of a close one, but, in terms of what's changed in the last week, I mean I think the one thing you can obviously point to is the Kavanaugh nomination. Just here, over the last several days, on the national level, we've seen Republican enthusiasm come into line with what had previously been a big Democratic advantage in enthusiasm, heading into next month's midterms. And that shift almost certainly has to be a reflection of the view of many Republicans—that the Kavanaugh nomination has devolved into a political witch-hunt on the part of Senate Democrats. So Republicans are more fired up now than they have been at the national level. And there's good reason to think that whatever trends of this sort that we're seeing nationally are going to be more pronounced here in Montana where I suspect support for Kavanaugh's confirmation is pretty solid. So I suspect that Cook is looking at some of those trends that we're seeing at the national level and extrapolating down from that, that Republicans are more fired up and here in Montana and that that's good news for Rosendale. SM: Well, the two Senate candidates’ debate last week, and issues both sides have been hammering, came up in that debate. Here's Senator Tester talking about campaign finance reform. SM: This is a tough issues, it seems to me for both Tester and Rosendale, Rob, because of that outside, dark money that Tester decries is being spent on him, and a lot is being spent on Rosendale; they're both getting washed over with that. RS: Sure and that's not a surprise. You know, the one thing that strikes me is that Tester has made campaign finance one of his chief issues. So these attacks on him, in a way, have more power than trying to push it back on Rosendale, just because this is something Tester has seen as one of his core strengths, and so it not only threatens to take away on of the feathers in Tester's cap, but also threatens to portray him as a hypocrite. SM: The vulnerable issue for Matt Rosendale centers on whether or not he supports federal ownership of land in Montana, and here's what he said at the debate. Rosendale: "There was a time when I thought they could be better managed by the state, all of the lands, but we have about 35 percent of our state that is federal public lands and I have since talked to people across the entire state and they have made it exceedingly clear that they do not want those lands transferred and I not only understand that, I agree with that." SM: This is a recent flip-flop on this issue, Rob, and not everyone believes that Mr. Rosendale is being entirely sincere, when he says he agrees with that. RS: Well, right, you know, Rosendale, as we just heard, addressed it directly, saying he used to support a transfer of public land to the state, but now after talking with people, he realized people don't support that and he changed his mind. And I guess on one level, he deserves some credit for being so forthright about it, you know, sometimes candidates will go to these ridiculous lengths to try to smoke screen a flip-flop and try to make it appear as though it's consistent, you know, Rosendale owned it. And I think we do need to give politicians space to change to their minds after they gather new information but that said, you know, Tester obviously sees a vulnerability here, he hit him hard on it, and quite reasonably so, his basic point was, you know, look, okay fine, Rosendale has changed his mind but who are you really going to trust with our public lands, this guy who just, very recently was ready to give them all the way, or me who has been a strong advocate from day one and has never wavered, right, and so I think this is a real strong point of Tester's campaign. SM: Chuck, the campaign ads in this race are getting nastier as Election Day gets closer, here's a new one from Rosendale, attacking Sen. Tester. Rosendale: I'm Matt Rosendale and I approve this message. Narrator: The liberal smear released allegations to the press, without proof, the media declares guilt, a reputation destroyed for politics. Admiral Ronny Jackson had an honorable career, 12 years, serving three presidents and Jon Tester destroyed it all. He leaked allegations, the media ran with it, but it wasn't true. Now they're doing it again, it's what we hate most about Washington. And it's why you can't trust Jon Tester. SM: And Chuck, although this ad is mostly referencing the failed nomination of Ronny Jackson to be head of the V.A., the last face you see in the ad is Brett Kavanaugh. CJ: Yeah it's a pretty effective ad, Sally. It re-hits Tester on the Ronny Jackson situation, and then says hey, and it’s happening again with Kavanaugh. I think it's a tough ad and a pretty good one. It's an anti-Washington ad and of course, Tester's the incumbent, so I think it works fairly well. Although I think some of the later information about Jackson showed there were some problems there but maybe not to the extent that Tester originally said. SM: And the ad says, I believe, that the allegations against Dr. Jackson are not true and in fact, as far as I know, the investigation into those allegations is ongoing. CJ: I think that's correct. One of the allegations was that he had been in several drunk driving accidents using a government car and I saw a story that Jackson had been in a couple of accidents, but alcohol wasn't involved in them. SM: Then there's this new ad from Sen. Tester attacking Mr. Rosendale. Tester: I'm Jon Tester and I approve this message. Narrator: We bought a house in Matt Rosendale's real estate development in Great Falls. Like our neighbors, we were excited to raise our family there. We were promised a lot but Matt Rosendale didn't deliver. Homes were even built with weak foundations. Matt took zero responsibility, just wanted to make a quick buck. Now Rosendale's making more promises to Montanans, but he is and all he'll ever be is an east coast developer, looking out for himself. SM: And this ad features a Montana accusing Rosendale of building a shoddy housing development and being greedy. It's also an effective ad. Chuck Johnson: I think it's quite effective, as well, and this guy was the president of the homeowners association in this development that Rosendale built. It hasn't been covered much in the campaign; it was covered at the time by the Great Falls Tribune. I haven't seen any recent stories about it but I think it's a very powerful ad. And the closing line, especially, all he'll be is an east coast developer looking out for himself. And that reinforces the point that Tester's made repeatedly, and Democratic groups, about Rosendale. It's an effective ad. SM: Both these ads focus on the character of the candidates and not on public policy, per se, and I guess that's because it's an effective attack. CJ: I think it is, and I think both of these work and hit their opponents pretty hard. 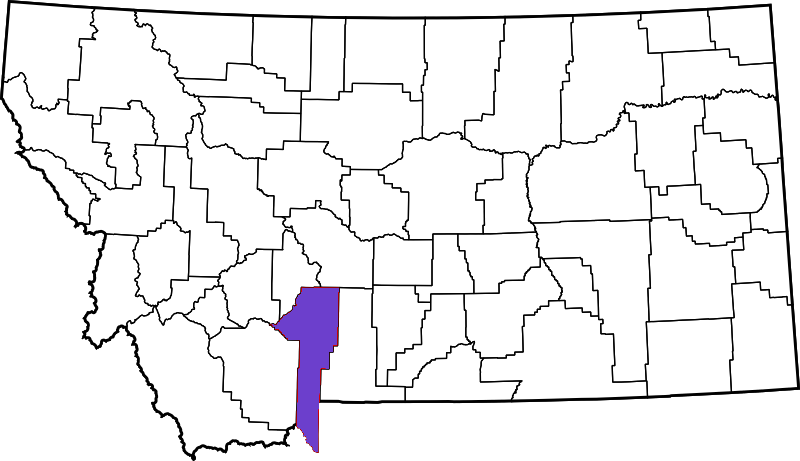 SM: Rob, the three U.S. house candidates, Republican Greg Gianforte, Democrat Kathleen Williams, and Libertarian Elinor Swanson also debated last weekend, and Gianforte was in with President Trump. Gianforte: Having a seat a table at the table with President Trump is delivering results for Montana. Ultimately though, this election is about competing ideas. Do you want someone who is going to work with President Trump to deliver results or someone who will join the resistance and stand with Nancy Pelosi? SM: And Rob, I think during the debate, he mentioned at least twice that he's met with Trump on Air Force One. RS: Right, well, that little clip, that's a good summation of the Gianforte campaign. He's the Trump guy, and his opponent is a democrat who will lock arms with Nancy Pelosi. Now of course, as we've said before, Kathleen Williams has said that she will not vote for Nancy Pelosi, but I think the point is clear enough, in the country, in, presumably, the state of Montana is very polarized right now, and that's going to be a pretty effective message, I suspect in rallying people in the state that Trump won by 20 points. SM: Kathleen Williams, Rob, was asked specifically about how she would regulate assault rifles, regulation she supports, but here's how she answered. Williams: "Children deserve to feel safe in school and parents deserve to know that their children are going to come home safe from school. So I am not cowed by special interests and I'm not afraid to have a discussion, a public discussion about how to keep kids safe in school. SM: That's a pretty vague answer, Rob, to what was a specific question. RS: Yeah, hard to imagine anyone disagreeing with keeping kids safe in school, yes, it wasn't specific. It was I think something that indicates a real shift from the way she talked about guns during the latter stages of the primary, when she was really able to set herself apart from the other democratic candidates, and I think there's good reason to think that really helped her to get that nomination and define her as a candidate. It's the kind of thing that works very well in democratic primaries, the question that was always out there, was well, what about in the general. And I think we're seeing that calculation that being aggressive on guns, especially in a state like Montana, is potentially a liability. SM: I'm not sure either debate last weekend moved the needle much in either race. What do you guys think? What do you think, Rob? RS: Well, I think as a general rule, in these debates, the debates, especially the first one, has a way of elevating the challenger and this is more true when you're up against a longtime incumbent, like Jon Tester, to be able to stand there on the stage, right next to someone who's very well-known and has been around for a longtime. It has a way of elevating that challenger, making them look more plausible in that role. And I think, on the Senate side, Rosendale did pretty well and that that played out. I think that general dynamic is a little bit less strong on the House side just because Gianforte is a newer figure, yes, it seems like he's running all the time, right, this is his third election in three years. But he hasn't been on the scene nearly as long; I think Montanans also perceive there are some question marks hanging over the head of Gianforte. You know, he won that special election against not a particularly strong candidate by a relatively narrow margin as far as these house races have gone recently. And of course, he had the assault issue. SM: Chuck, the Libertarian candidate in the House race, Elinor Swanson, and the Libertarian running the Senate race, Rick Breckinridge, could impact the outcome if either or both those races are close. CJ: That's true, Sally, the Libertarian's typically get two, three, four, five percent of the vote here and I think it's widely thought that they don't hurt the Democrats, they hurt the Republicans. Had there been a Green Party candidate in the race, the Green Party candidate would have hurt the Democrats. So I think none of the polls we've seen today have included Libertarians, so I think you can probably deduct a couple of points from the Republicans vote percentage with the Libertarian and so, I think Democrats love to see Libertarians enter races, and Republicans aren't so happy about it. And likewise, Republicans would love to see the Green Party in there, and they were taken off the ballot this time. SM: One thing we do want to note, too, is Kathleen Williams had a good fundraising quarter. She raised over $2 million. CJ: That was impressive, Sally, and we haven't seen what Greg Gianforte raised during the quarter, yet, but that was a really strong performance by her, raising that money. We don't have the report, yet, so we can't see where the money is coming from, but I'm guessing some of that had to do with the poll that showed her ahead in the race in June and showing up on some national democratic lists as someone who had a chance to win a race that had been in Republican hands for a couple of decades. SM: Absentee ballots go out soon, next week, and there are also some important initiatives on the ballot and we will talk about those next week. 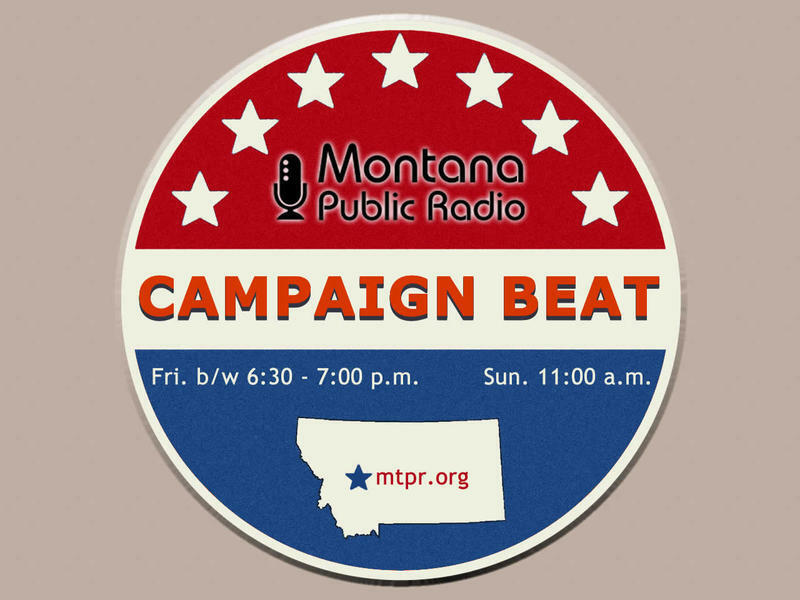 You've been listening to “Campaign Beat,” our weekly political analysis program, I'm Sally Mauk, and I've been speaking with veteran Capitol Reporter Chuck Johnson and University of Montana Political Science Professor, Rob Saldin. Thanks guys, and I'll talk to you next week. In the first of two televised debates Saturday night, Democratic Senator Jon Tester and his Republican challenger, State Insurance Commissioner Matt Rosendale clashed over campaign contributions, health care and Brett Kavanaugh’s Supreme court nomination. The event was broadcast live by Montana PBS from a closed set in Missoula.